Franz Xaver Süssmayr (b Schwanenstadt, Upper Austria, 1766; d Vienna, 17 Sept 1803). Austrian composer. He studied music as a boy with his father, a teacher and choirmaster in Schwanenstadt. In 1779 he moved to the monastery school at Kremsmünster and later studied philosophy and law at the Ritterakademie there. While a student he participated in services at the cathedral as a singer, violinist and organist, and took composition lessons from local teachers. Beginning in or around 1785 he composed several operas that were performed in the monastery theatre. In the late 1780s he moved to Vienna, where he taught music privately and performed in the Hofkapelle. He began occasional studies in composition with Mozart in 1790 or 1791, subsequently working for him as a copyist, almost certainly assisting him in composing the secco recitative for La clemenza di Tito and completing the Requiem at Constanze Mozart's request. After Mozart's death he studied with Salieri. Several of Süssmayr's first operatic projects in Vienna were undertaken for Schikaneder's Theater auf der Wieden; then, in 1792, he became harpsichordist and acting Kapellmeister for the Nationaltheater. Two years later, in May 1794, he was made Kapellmeister of the Viennese court's newly re-established National-Singspiel in the Kärntnertortheater. In 1798 Süssmayr applied to succeed Pierre Duttilou as court composer in Vienna but was not offered the post; he served as Kapellmeister of the National-Singspiel until his death, composing a series of German works for the national stage. He also wrote cantatas (for performance in Vienna and Kremsmünster) and other sacred and instrumental works. Like many late 18th-century German composers, Süssmayr worked in a variety of operatic genres. He wrote a handful of Italian operas, both serious and comic, for theatres in Vienna and Prague. His German works range from modest Singspiele for Kremsmünster in the early north German vein to extravagant heroic-comic operas produced in Vienna. He gained fame as the composer of Der Spiegel von Arkadien (1794), commissioned by the librettist Schikaneder. Written in the tradition of Die Zauberflöte, it features lyrical arias, folklike songs, lengthy finales and the musical depiction of ambitious scenic effects. In his Eipeldauer Briefe (1794), the writer Joseph Richter observed soon after the première that pieces from the opera were often sung and played in cafés and taverns around Vienna. Schikaneder and Süssmayr even filed an official protest against several Viennese music shops that were selling copies of the opera's most popular numbers without their permission. Among the works Süssmayr composed for the Kärntnertor, Der Marktschreyer (1799) and Solimann der Zweite (1799) enjoyed the most performances. The latter's success is reflected in Beethoven's set of piano variations (woo76, 1799) on the terzetto ‘Tändeln und Scherzen’. 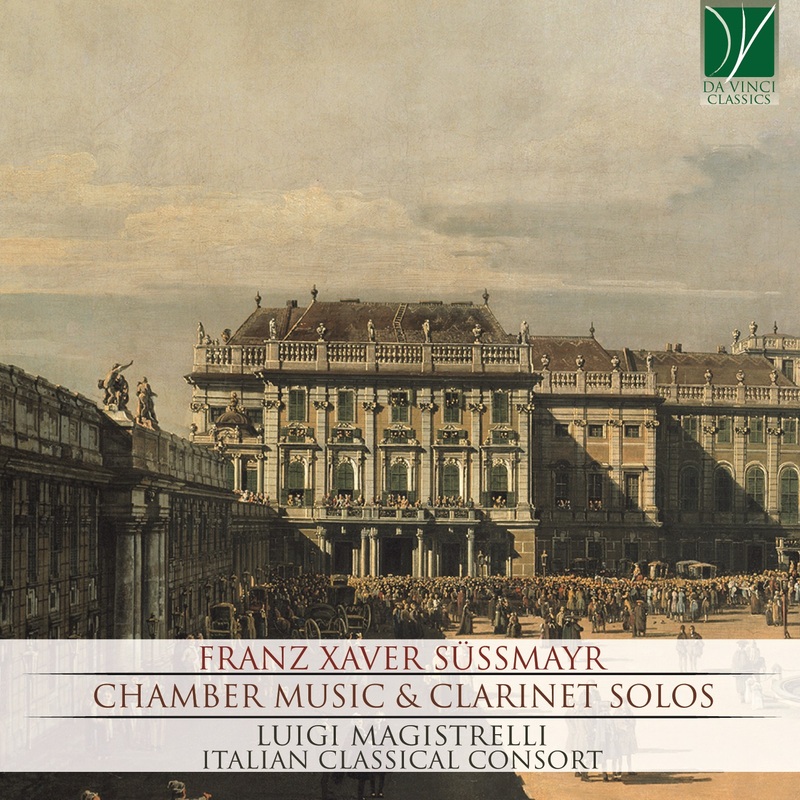 The popularity of Süssmayr's works is also attested by the ballet Il noce di Benevento (1802), which was given in German and Italian theatres up to about 1835, and by Paganini's Le streghe op.8, which borrows a theme from another of his ballets. Süssmayr, like most Viennese opera composers, used a wide range of national styles in his German works, including Italian seria and buffa idioms, French comique forms, popular German styles and melodrama. His melodic gift and formal craftsmanship show best in his solos, duets and trios; larger ensembles and choral numbers often lack intensity, with little of the contrapuntal and harmonic interest necessary to sustain long scenes. His church music, which belongs to the declining tradition of the south German and Austrian Baroque, survived in the repertory until the mid-19th century. Süssmayr is now remembered for his primary role in completing Mozart's Requiem k626. In a letter to Breitkopf & Härtel dated 8 February 1800, Süssmayr claimed to be one of several composers to whom Mozart's widow entrusted the completion of the Requiem. According to this letter, he and Mozart had often sung and played through the completed sections and discussed matters of composition and instrumentation. Early in 1792 Süssmayr probably completed the instrumentation from the Kyrie to the end of the offertory, thereby finishing work undertaken by Joseph Eybler and probably Maximilian Stadler, and completed the ‘Lacrymosa’ from bar nine onwards as well as the Sanctus, Benedictus, Agnus Dei and communion, for which no material by Mozart survives. Circumstantial evidence, such as the quality of the musical ideas, motivic consistency and structural relationships between movements, features absent from Süssmayr's own sacred works, suggests that Süssmayr may have worked from small autograph fragments or sketches; however, numerous errors in harmony and part-writing, an avoidance of contrapuntal complexity and an almost continuous obbligato accompaniment attest to his compositional limitations. Throughout the manuscript Süssmayr appears to have consciously imitated Mozart's scribal hand, even forging Mozart's signature and the year 1792. Süssmayr completed the rondo finale to Mozart's 1791 horn concerto in D k412 on 6 April 1792. This movement, formerly considered to be by Mozart (k514), uses the same thematic material as Mozart's incomplete draft; entirely new is the horn intonation of the liturgical Lamentatio chant in mid-movement. Süssmayr may also have had some share (along with Johann Anton André and Friedrich Johann Eck) in the work known as Mozart's Violin Concerto in E (k268/Anh.C14.04), whose authenticity has long been questioned. His brother Joseph Süssmayr (b Schwanenstadt, 1776; d Schwanenstadt, 21 Sept 1830) was a schoolmaster in his native town; he was also municipal and church Kapellmeister there and in 1822 he founded a society for church music. The Italian Classical Consort has members coming from different countries and important orchestras and Ensembles of Milano and of other cities in Italy. They also perform as solo players and some of them are professors in different Conservatories in Italy. The Ensemble, mostly devoted to the classical repertoire and performance practise,has already recorded some cds for Bayer Records, Gallo, Centaur Records and Brilliant. Magistrelli, Luigi (Clarinettist), Luigi Magistrelli was born in S.Stefano Ticino, near Milan,Italy. He studied clarinet at the Conservatory of Milan with Prof. Primo Borali and attended some master classes with D. Kloecker, K.Leister and Giuseppe Garbarino. He has performed as a soloist with the Orchestras of Pomeriggi musicali , Angelicum, Teatro Litta ,Radio of Milan,Città di Magenta ,Vivaldi Val Camonica, Haydn Chamber Orchestra, Grande Orchestra Romantica , and others. He has also performed with many chamber groups (from duo with piano to large ensembles also of contemporary music). He played as principal clarinet with Sanremo Symphony Orchestra and as extra player with the orchestras of Pomeriggi Musicali, Angelicum, Gaspare da Salò, Cantelli, Radio Orchestras of Milan and Turin, La Scala Strings , Orchester der Jahrhundert in Germany, Musica Aeterna of Perm (Russia) and Moldova Radio Symphony and many others. He has participated in some tournèes with the International Orchestra of Italy. He has won some prizes at the Competitions of Genoa and Stresa. He has performed in the principal cities of Italy and also in Swizerland, Malta, Austria, Belgium, Latvia, ex Jugoslavia, France, Spain, Africa (National Theather of Nairobi), India, Germany, Finland, Israel, Mexico, U.S.A, Canada, Russia and in duo with the pianist Sumiko Hojo in the Czech Republic, China and Japan. He has recorded 55 Cd’s of chamber music and also as a soloist, for Pongo Classica , Bayer Records , Nuova Era, Stradivarius, Arta Records (on early clarinets) , ASV, Clarinet Classics,Urania/Leonardo, Centaur Records, Talent Records, Gallo, Brilliant Classics, MDG and Orfeo with the well known clarinetist Dieter Kloecker, with the orchestra La Scala Philharmonic conducted by R. Muti for Sony Classical, with Milano Classica Orchestra for Dynamic and with Cremona Barock Orchestra for Tactus. He has recorded also two Mozart Cds for Camerata Tokyo with Prof. Karl Leister, well known solo clarinet player of Berlin Philhamonic for 34 years. He recorded for the Italian Radio and BBC of London. He edited unknown clarinet works for Eufonia, Accolade, Trio Musik, Poco Nota Verlag and Musica Rara. He is the chairman for Italy of the International Clarinet Society and performed in many clarinet congresses around the world. He held master classes and lectures in Italy, Bulgaria, Belgium (Brussels Royal Conservatory), Austria (Mozarteum Salzburg, Vienna University), Germany, China, Latvia, Spain, Czech Republic, Israel (Tel Aviv and Jerusalem Music Academy), South Korea, India, Mexico and USA (Mississippi Southern University, South California University). He has a personal clarinet collection of 240 instruments of any kind. He is Professor of Clarinet at the Conservatory of Milano. Margherita Tomasi was born in Vicenza, Italy. She has studied with Romana Righetti and subsequently in Venezia and Salzburg (Summercourses of Mozarteum) with Alessandra Althoff. She won several singing competitions. Among all: Valsesia Musica, 2005 (2° Prize), Carlo Cossutta in Trieste, 2003 (3° Prize); Hans Gabor Belvedere-Oper in Vienna, 2000 (Prize "Look of the Opera", Stimme und Ausstrahlung); City of Toulouse, 1996 (2° prize and Special Prize of the Société des Auteurs, Compositeurs et Editeurs de Musique for the best interpretation of a french Aria). Particularly, she was the only italian singer to be invited and to reach the final of the Competition for Wagner Voices in Bayreuth (2003). She sings an operatic and symphonic repertoire encompassing Cavalli, Vivaldi, Bach, Haendel, Domenico Scarlatti, Pergolesi, Traetta, Hasse, Galuppi, Mozart, Haydn, Beethoven, Schubert, Berlioz, Wagner, Puccini, Mahler, Strauss, Debussy, Satie, Britten, Respighi, Casella, Rota, Stravinsky, Menotti, performing in leading opera houses and concert halls in Italy ( among all: Teatro alla Scala in Milano, Teatro La Fenice in Venezia, Teatro San Carlo in Napoli, Teatro Lirico in Cagliari), and in England, Austria and France, with conductors as Martin Haselböck, Andrea Marcon, Giovanni Guglielmo, Sergio Balestracci, Jonathan Webb, Alain Guingal, Paul Weigold, Arturo Tamayo, Alexander Lonquich, Marco Letonja, Peter Eotvös, Marc Andreae, Maurizio Arena, Isaac Karabtchevsky, Juri Ahronovich, Jeffrey Tate and Semyon Bychkov. She has made recordings for Mondomusica, Nalessorecords and BMG Ricordi. Concerts has been broadcasted by 3sat, Raidue, Raisat, Radiotre Rai, ORF and Radiofrance.